Spending time in San Diego is filled with trips to the beach, area park attractions, and some amazing restaurants to eat at. San Diego is one of those destinations that offers many different things to do for everyone in your family. As will most things in California, San Diego isn’t necessarily on the cheap side. Here are a few tips though on how to find travel deals in San Diego. Lodging is normally going to be one of your largest expenses when planning your trip to southern California. There are a few apps that help you search for discounts at local hotels. Don’t book a hotel without first checking out the killer deals found on Hotel Tonight, Kayak, and even Priceline can score you 50% off what you would have paid. Always ask when you check in if there is a discount of any kind whether it is AAA, military, student, and even teachers get a percentage off. Call the San Diego Chamber of Commerce as they are often are given secret codes and even free rooms or excursions to entice people to come and visit San Diego. If you have anything to do with travel or are a blogger, let them know as they can have you do reviews in exchange for tickets. They also have similar programs for first responders and military members. Sites like Trip Advisor, Expedia, and Travelocity can also have great deals on attractions, hotels, and rental cars. Members of Costco should call Costco Travel and let them know your itinerary. Costco often has deals and discounts not found anywhere else in the industry. With these types of travel sites and even Costco, you will find the best travel deals if you group your airfare, rental car, and hotel together and you can save up to 65% off by doing a travel package. Here are a few more tips to get the best airfare deals. When in San Diego, make your big meal at lunch time as food is often half priced during the day. If you have your heart set on that place with the awesome fish tacos or filet mignon, go during the day so you don’t break the bank. When in San Diego, visit some of the wineries as they give deals off of wine tastings and bottles of wine when you preregister a tour. Make friends with California residents as they are privy to deals off of everything from SeaWorld and San Diego Zoo to discounted parking near the beach. Always ask when dining out if they have a local’s discount – of course, as long as you have a local in your party! By being creative and doing some great research you can find travel deals on almost anything in San Diego. Sometimes it takes a phone call or an email requesting help on whatever it is you are trying to see or do. Tourism is what drives most cities and they want you to come and spend time and money in their city. 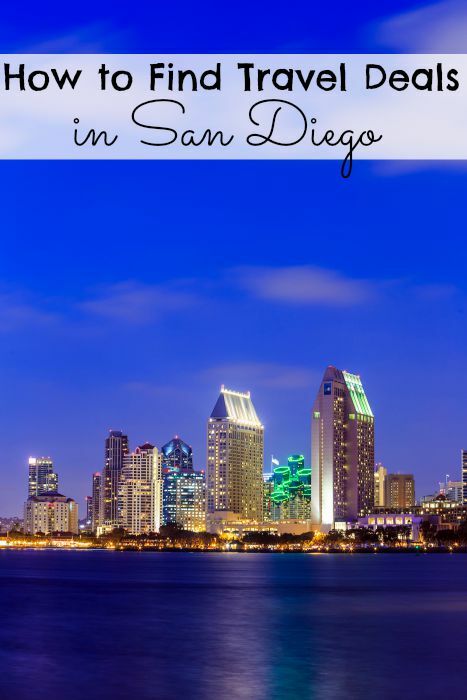 San Diego is no exception and they will help you to fit a vacation into your budget by sharing their little known secrets.